Black with Espresso Brown/ Ginger Beige MB-Tex, AWD, Anthracite Poplar Wood. 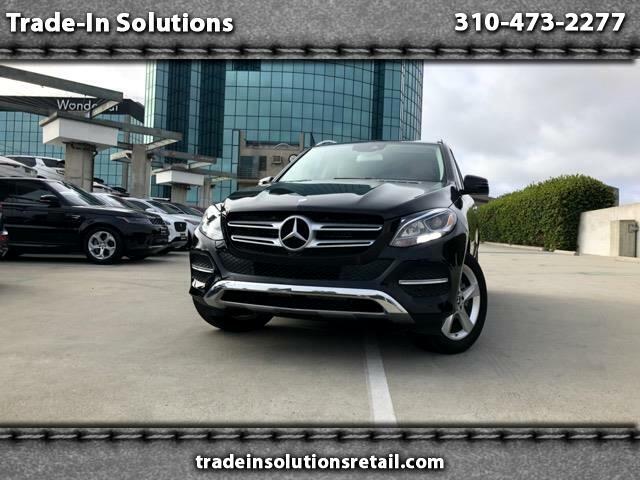 4MATIC, Sunroof, Heated Front Seats with Lumbar Support, Heated Steering Wheel, Power Liftgate, Rain Sensor, Rear View Camera, Verizon Telematics with Subscription, Factory Warranty with another 31800 miles, Crosswind Assist. Trailer Hitch, Harmon/Kardon LOGIC7 Surround Sound, Brushed Running Boards. Package 1 Premium, Navigation, Map Updates, Sirus XM, Keyless Go, Apple Carplay, Android Auto, Lane Keeping Assist, Blind Sport Assist. $61,150 factory MSRP. Carfax accident is only because there was a minor repair that was within a few hundred and unfortunately shows. We have a complete condition report for this vehicle as indicates there are no issues found and no damage or paint. Message: Thought you might be interested in this 2017 Mercedes-Benz GLE-Class.